CLAYTON, NC – On a hot and sunny Carolina afternoon, the Clayton RFC was put to the test this past Saturday. The club played host to two teams at East Clayton Community Park with the Bootleggers D3 side taking on Cape Fear and the club’s D4 squad taking on a combined Camp Lejeune/New Bern side in an exhibition match. The Bootleggers were hit hard by their opponents and injuries that put their roster depth to the test. The day started with the Bootleggers D3 taking on Cape Fear, a perennial playoff favorite and one of the top sides in the CGRU North Division. The two sides came out hitting hard and exchanging field position as the two sides worked to set the tone for the match. The Bootleggers opened up the scoring in the 15th minute as they pressed deep into Cape Fear territory. With a line out just meters from the goal line, Bootlegger prop Doug Stillwell smashed his way over the line to give Clayton a 5-0 lead. Cape Fear bounced back with a converted try in the 20th minute to take a 7-5 lead. They followed in the 27th minute with another converted try to push their lead to 14-5. Clayton made a couple forays into Cape Fear territory, but were turned away. The Bootleggers took a big hit in the 30th minute when flyhalf Brian Beauregard came off injured. Fear followed by adding two more converted tries before halftime to extend their lead to 28-5 going into the break. Cape Fear capitalized on multiple Bootlegger mistakes, but it was a very competitive first half. The visitors picked up where they left off in the second half as they mounted pressure and were clinical in punishing Clayton mistakes as they pushed out to a 45-5 lead by the 60th minute. With a number of players off injured, the Bootleggers were forced to go to their bench early and Cape Fear put the reserves to the test. Cape Fear pushed the tempo of the match and five more tries in the final 15 minutes of the match to close out the scoring and hand Clayton a 72-5 loss. The Bootleggers D4 side followed with another high scoring affair against a combined Camp Lejeune/New Bern side. The first half was an eye-opener for the D4 side as they watched their opponents open the match with 31 unanswered points. The Bootleggers broke the shutout in the 30th minute with a penalty goal from flyhalf Jesse Rinehart. The squad got their first try of the match in the 38th minute when No. 8 Jim Bartles crashed over for his first ever try. Lejeune/New Bern extended their lead to 43-8 as the teams went into the half. The second half brought even more scoring, but also a better effort from the Bootleggers as they added three more tries. Eric Hile scored two tries and Bartles added his second try of the match to lead the offensive effort. Unfortunately, Lejeune/New Bern added four more tries as the final score finished at 67-27 in favor of the visitors. 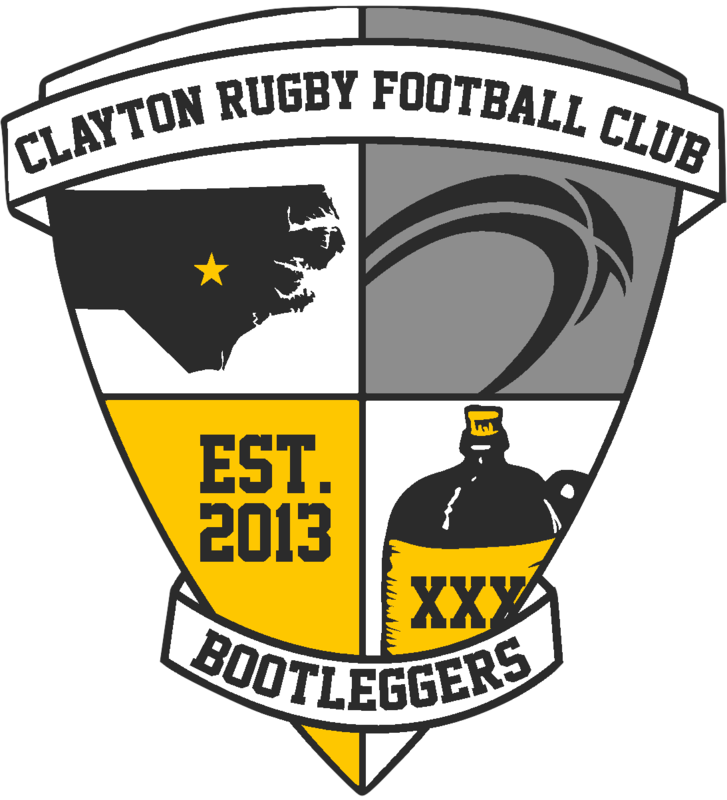 The Bootleggers return to action on Saturday October 8th as they travel to take on Camp Lejeune.